If you are someone who likes having labels on their handmade projects either when you are selling them or giving them away, then you will love today’s DIY! 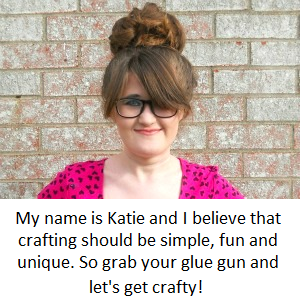 This is because I will be showing you how to make your own handmade labels and a storage box for the labels, in only 4 steps. Today's project is part of my collaboration with Xyron since I'm a member of their design team! This means you will be seeing some Xyron products in action! 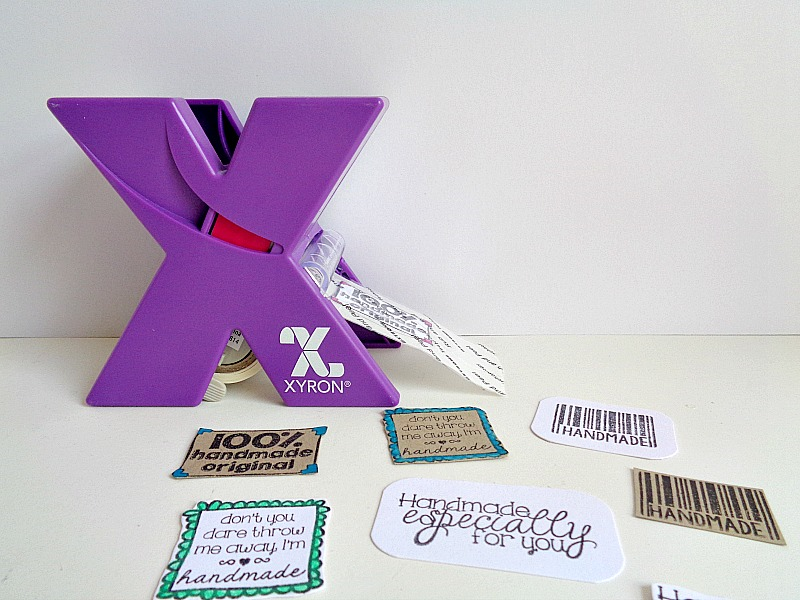 For this particular project, I will be showcasing the Xyron® 1.5″ Sticker Maker and the Xyron® Tape Runner. I've talked about the Xyron® 1.5'' Sticker Maker and Xyron Tape Runner before, so if you want to learn more about them, then click here (for the Xyron 1.5’’ Sticker Maker) and click here (for the Xyron Tape Runner). Also, in this project, I will be using items from Pink and Main! 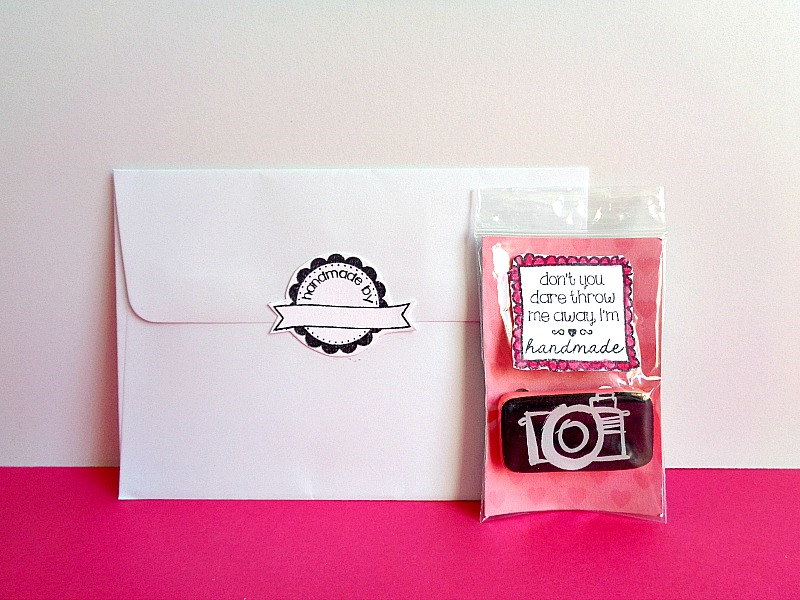 Now if you have never heard of Pink and Main, they are a company which creates adorable stamps, dies, and papers. Their stamps (in particular) are very detailed, fairly inexpensive, and come in a wide variety of choices. In today’s project, I will be using their Clear Photo-polymer Handmade Stamp Set and their Shades of Spring 6x6 Paper Pad! 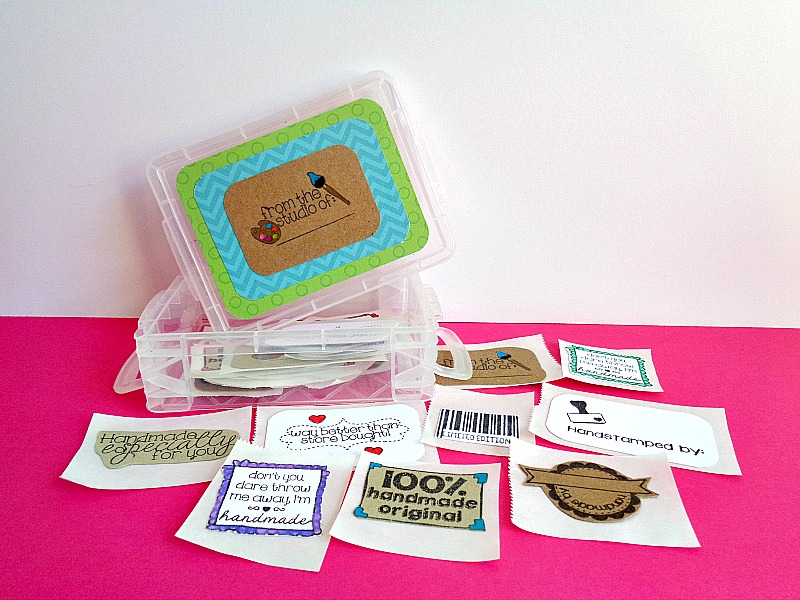 As I mentioned before, I will be showing you to make your own handmade labels and a storage box for your labels. 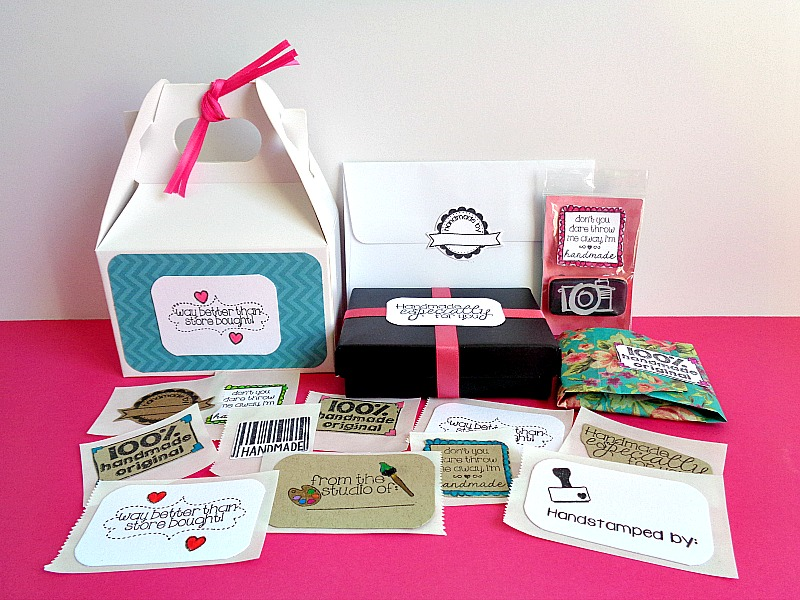 My goal when creating this project was to show you how easy it was to create your own customized labels with only a few supplies. 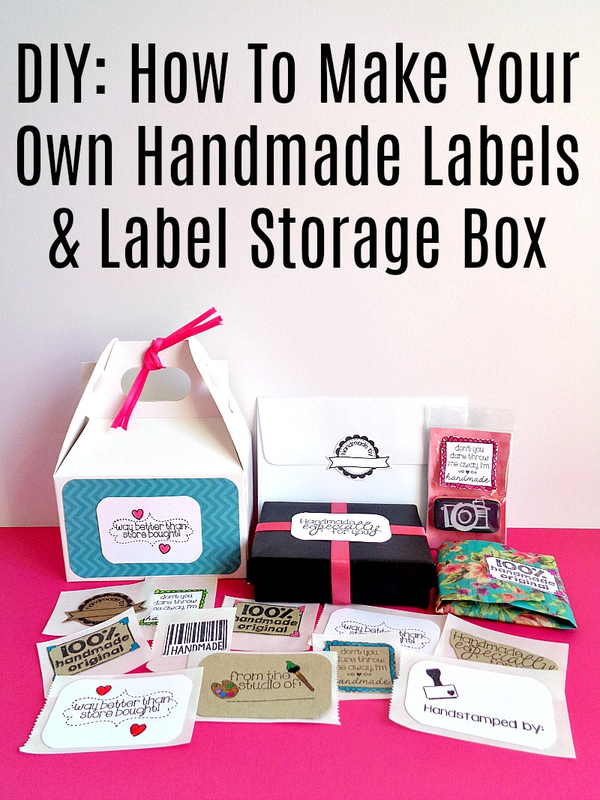 Honestly, if you took out step 4 (which is the storage box) you could literally make your own handmade labels in only 3 steps! Finally, keeping reading this post to the very bottom to find out about two giveaways!! 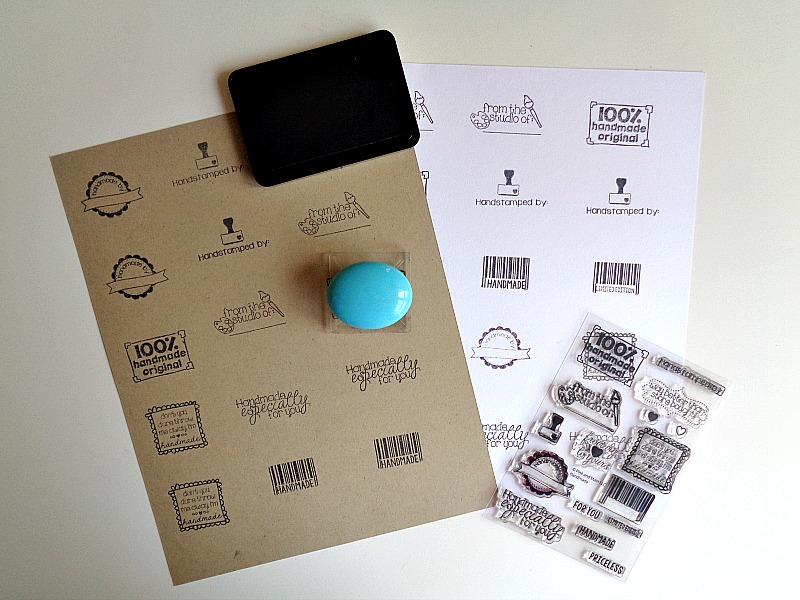 Step 1: Grab one of the stamps from Pink and Main’s Handmade Stamp Step and adhere it to your acrylic block. Then dip your stamp in black ink and begin stamping your image on your white or kraft paper. Keep repeating this step until you have as many labels as you like. Step 2: Cut out your labels in whatever shape you like and then, using your colored pencils or markers, color your labels. Step 3: Grab all of your labels and begin sliding them through your Xyron 1.5’’ Inch Sticker Maker. Keep repeating this process until you have run each label through your Xyron 1.5’’ Sticker Maker. Step 4: To create a storage box for your labels, simply cut some patterned pieces of paper (from Pink and Main’s Shades of Spring 6x6 Paper Pad) that will fit on top of your box. 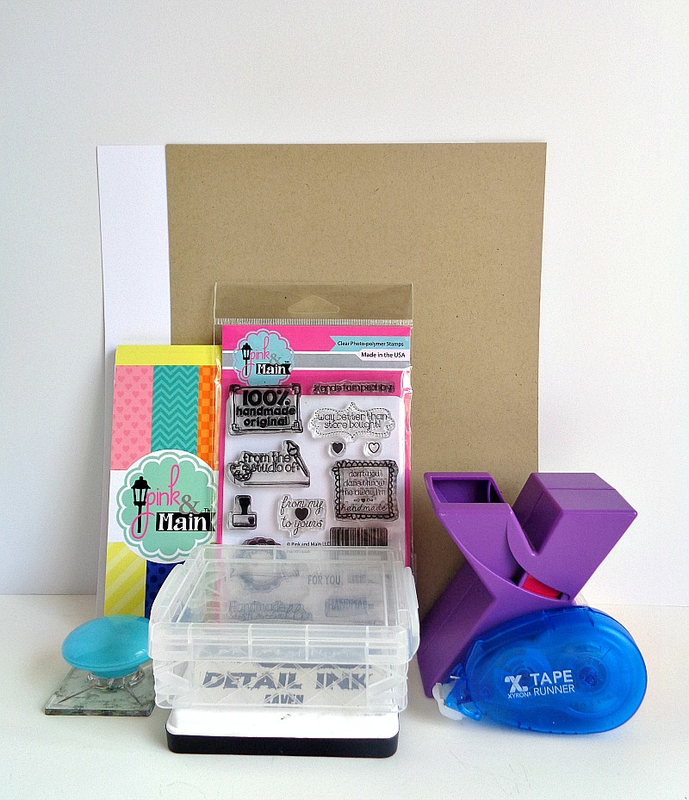 Then adhere those pieces of patterned paper to your box by using your Xyron Tape Runner. Finally, add the label that says ''From the Studio Of'' on the top of the box. Once your storage box has been completely decorated, you are ready to store your labels and begin using them on your projects! I love how easy it was to make these handmade labels and how you could make a ton in such a short amount of time! In the Pink and Main Handmade Stamp Set, you got a variety of stamps which could be used for different products or gifts. 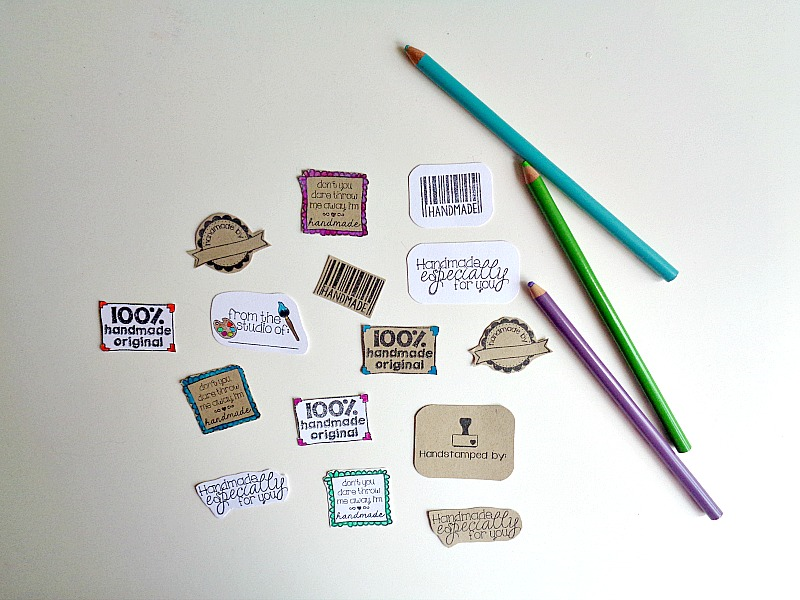 Above, I tried to give you some examples of how you could use these handmade labels whether you were selling a product at a craft fair or simply giving something away as a gift. Out of all these ideas, my favorite one would definitely be the jewelry bag. So, I bet you are now wondering about that giveaway (lol)! Well, Xyron and Pink and Main are both having a giveaway this week. Each company is going to be giveaway a $25 Pink and Main gift certificate and Xyron Mega Runner. 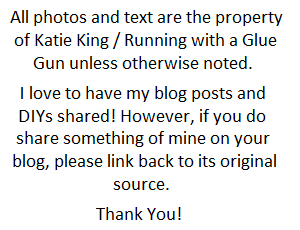 Below, is how you can enter for both giveaways! To enter the Xyron giveaway all you need to do is leave a comment on any (or all) Pink and Main projects on the Xyron FB page this week. To enter the Pink and Main giveaway all you need to do is comment on their blog (specifically the Xyron Hop blog posts). 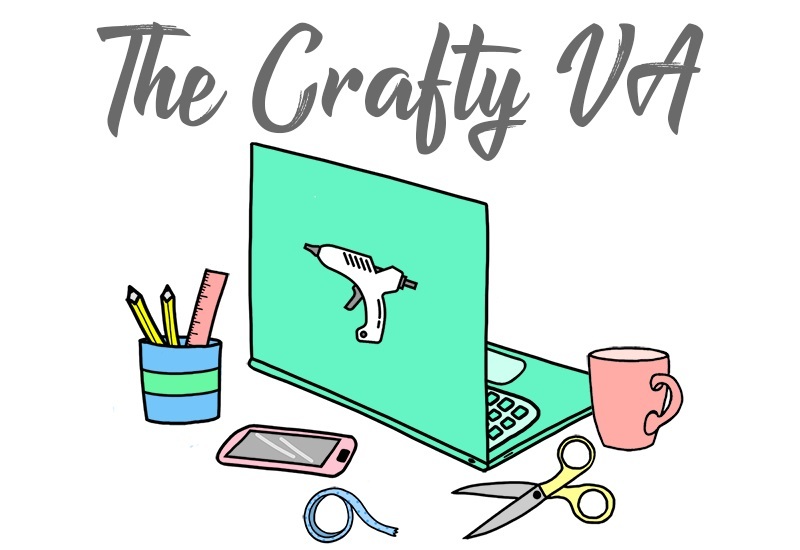 As always, to follow along with all the crafty fun and to never miss a new design team member's project, check out Xyron's Facebook and Pinterest page! What do you think? 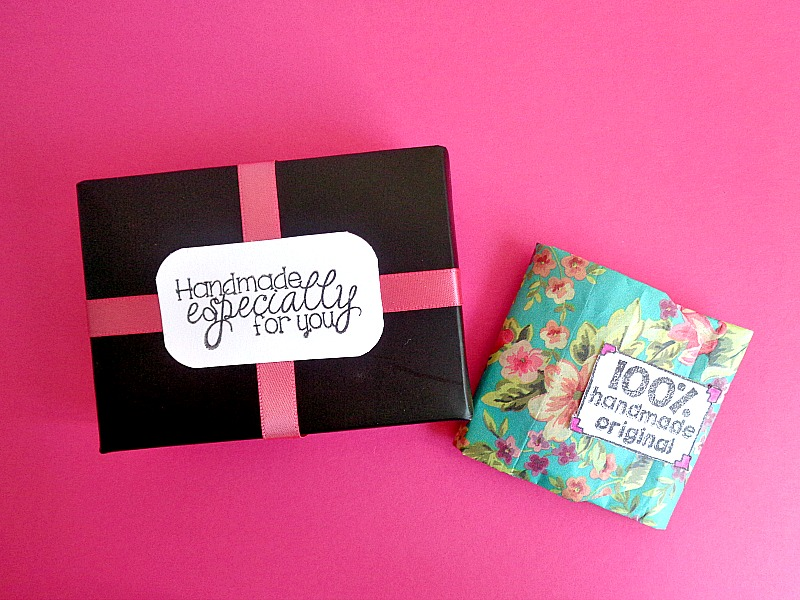 Do you like these handmade labels and storage box?